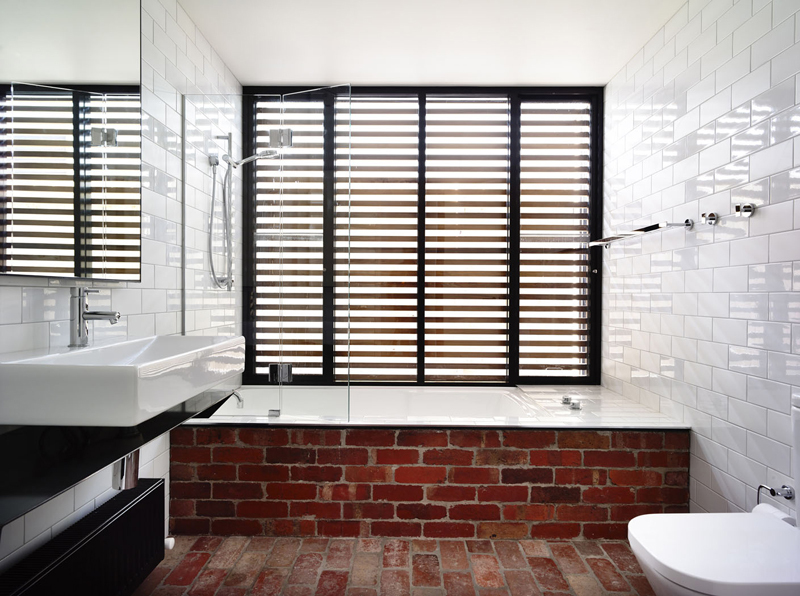 Brick walls look lovely anywhere in the house, even in the bathroom! I can’t tell you enough how much I am fascinated with brick walls in the interiors. As a kid, we were told of the story about the Three Little Pigs where one of these brothers (the last one) made a house of bricks that saved him and his brothers from the big bad wolf that went to the first two houses and destroyed them. So, with that, we know how much stable and neat brick walls (or homes) are. 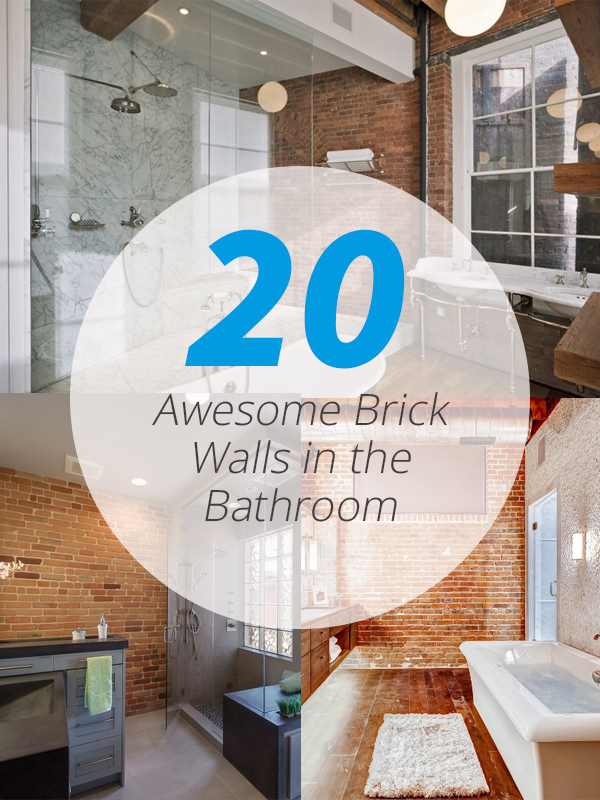 Below, you would be seeing an awesome list that showcases a list of bathrooms that have brick walls – either as accent walls or their main walls. 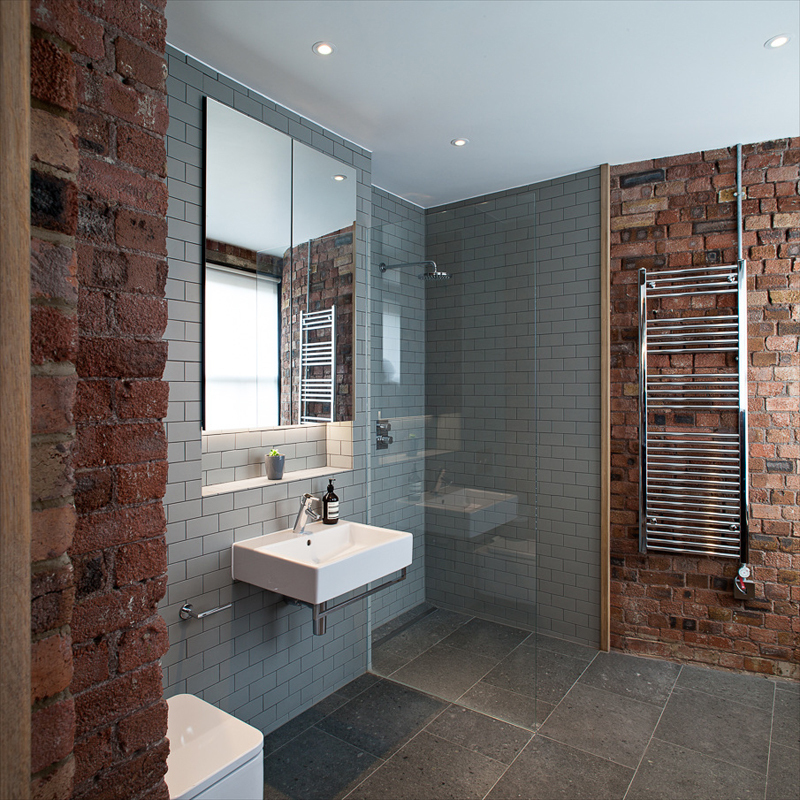 This list shows a couple of bathrooms with the traditional red brick walls while some have white brick walls. You should go ahead and check out this list and pick a favorite – red or white! 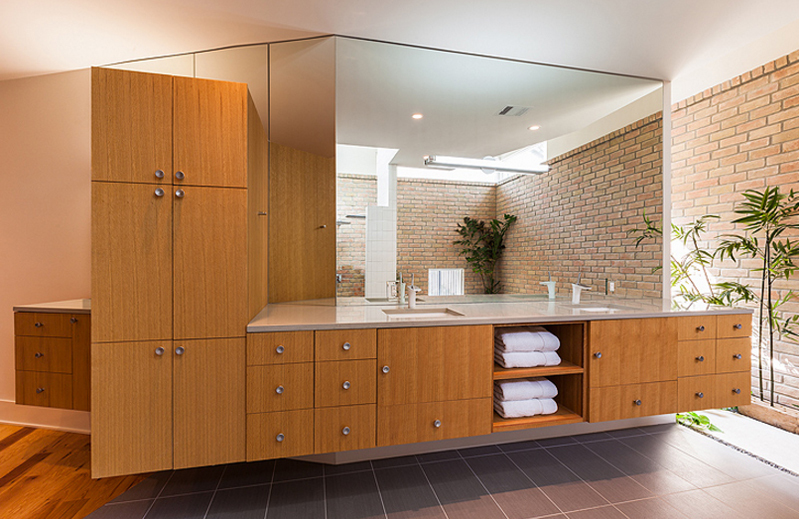 First stop is your traditional red brick walled bathroom from Jane Kim Design. The fixtures in here look really vintage and really interesting. The choice of bathroom fixtures in here is quite something, even the tile used to complement the red bricks is just so fancy. This part of the bathroom I find interesting. 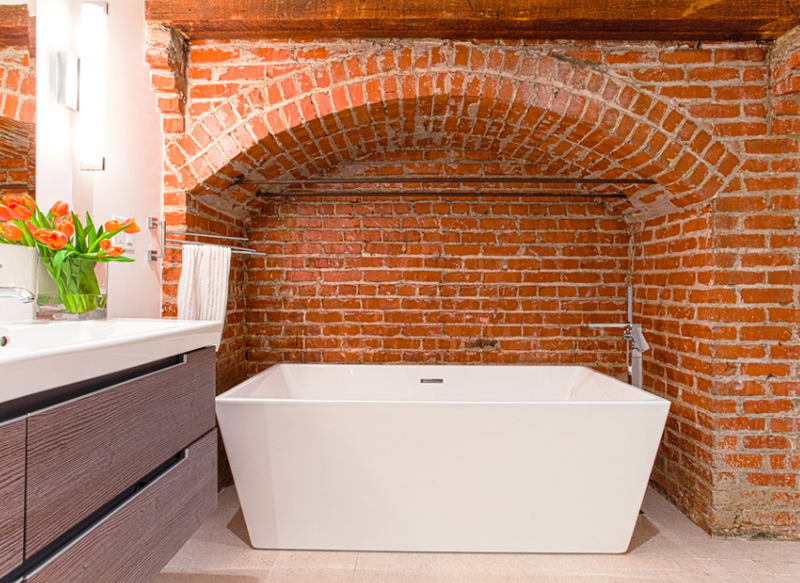 I hope that whoever uses the tub would not hit the ceiling portion of the brick arch. 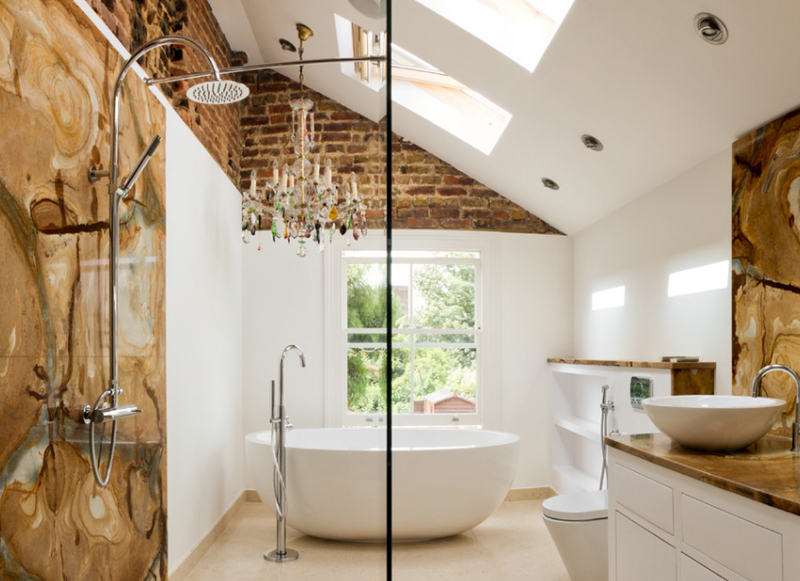 As you can see, the contrast on the red bricks and the white tub makes both of these things stand out – especially the white tub. 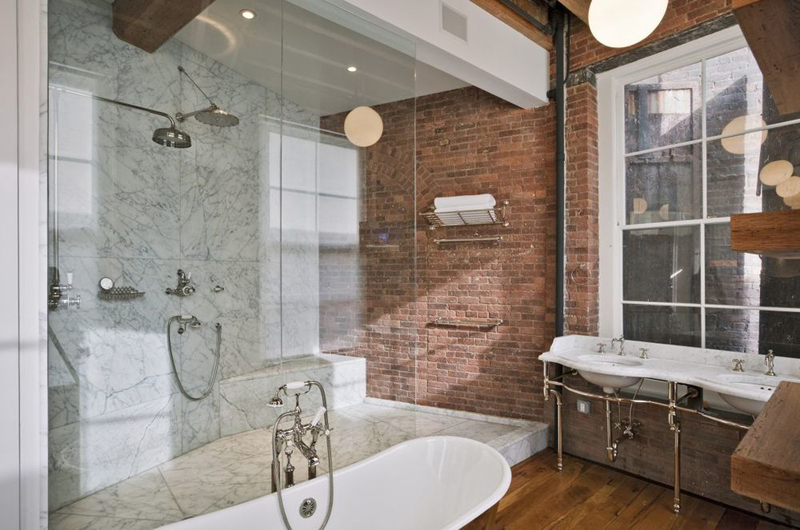 I love the stainless steel tub in this bathroom. It’s crazy unique and I’d love to really have one when I can actually afford it. The usual white tub in a regular rectangle or those cute oval ones are pretty, but I think that having a stainless tub would be fascinating and cool altogether. Here is one contemporary design of a tub which actually looks really fancy. 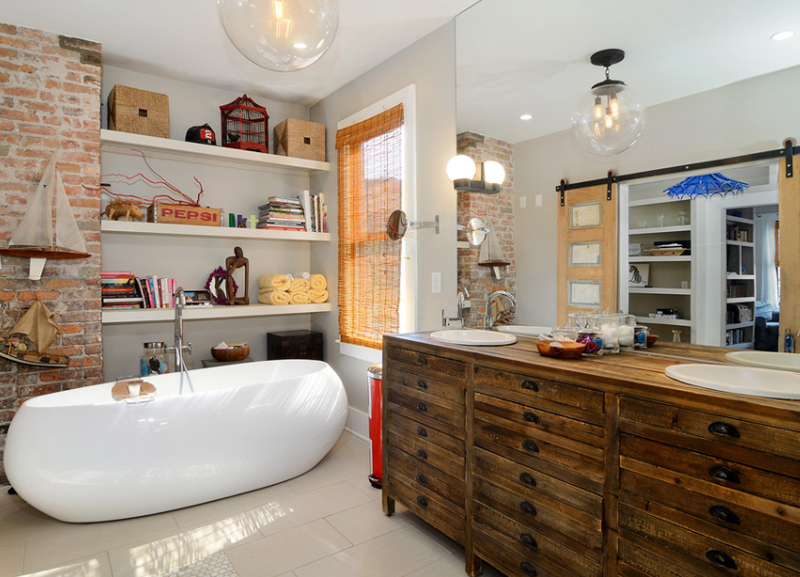 I don’t have other photos of this house but I think across from the tub is the bed – pretty cool, right? I actually dream of having a tub close to my bed even separately from the bathroom. I love this. The contrast of the red brick wall and that of the white wall is quite cool. It makes me think which one is actually the accent wall and which one is the main wall that needed accenting. 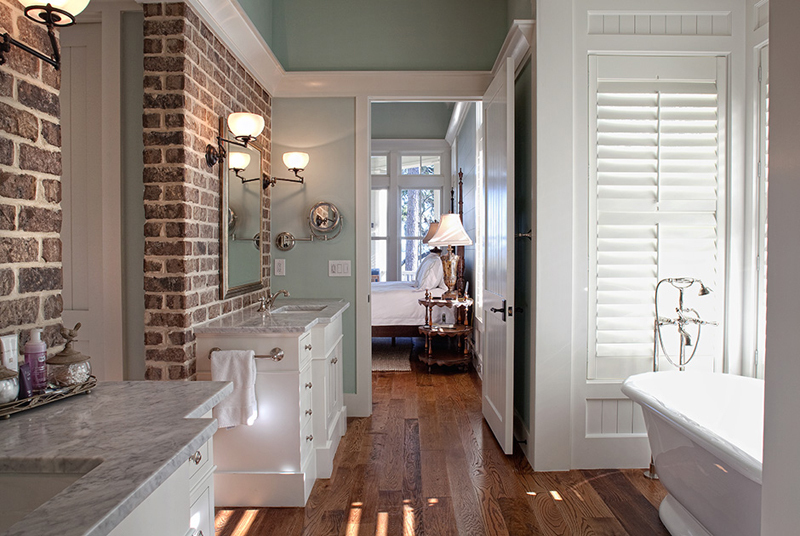 With the exposed ceiling and the matching wooden flooring, I think this bathroom is one of the prettiest in this list. 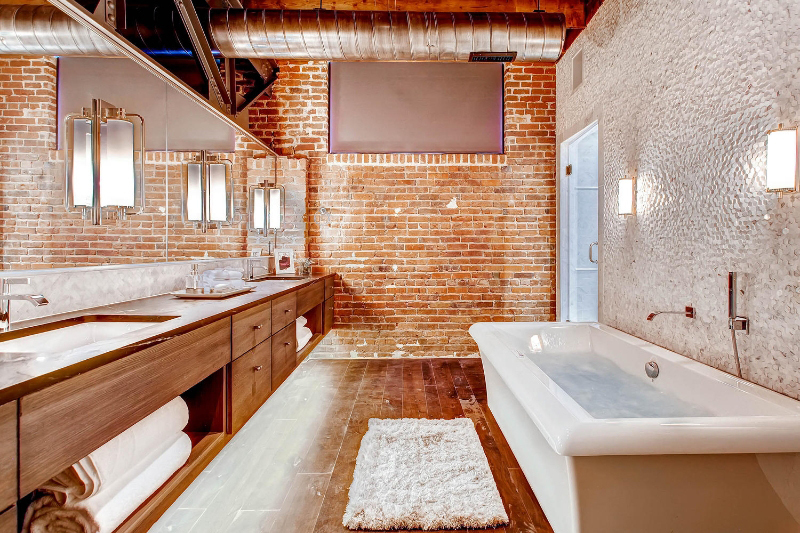 This bathroom is something – with white walls and ceiling and the basic white bathroom fixtures, using red bricks for the side of the tub and the flooring is one awesome move. It creates a loft feel and at the same time, it makes it seem like two different places. It looks great in this picture, but I can’t say the same once we see it in person. The main item or the focus of this bathroom is actually the tub. Why not? It surely deserves a whole lot of attention because it looks really pretty and comfortable. As much as the white portions of this bathroom look divine, I think the additional brick wall on the upper portion of the wall and the brown granite as the countertop and backsplash makes a whole lot of difference in here. When I first saw this photo I got confused with the decorations behind the tub; bathrooms don’t usually have this much decorations and not bathroom related stuff, if you know that I mean. I’m not sure if this was staged or whatnot, but I think that those shelves surely made this space interesting. The first time I came across this bathroom photo, it was hard for me to really find the right size that I needed and when I did, I was really glad. I love spaces that showcase vintage decorations or Americana that makes it really appealing. 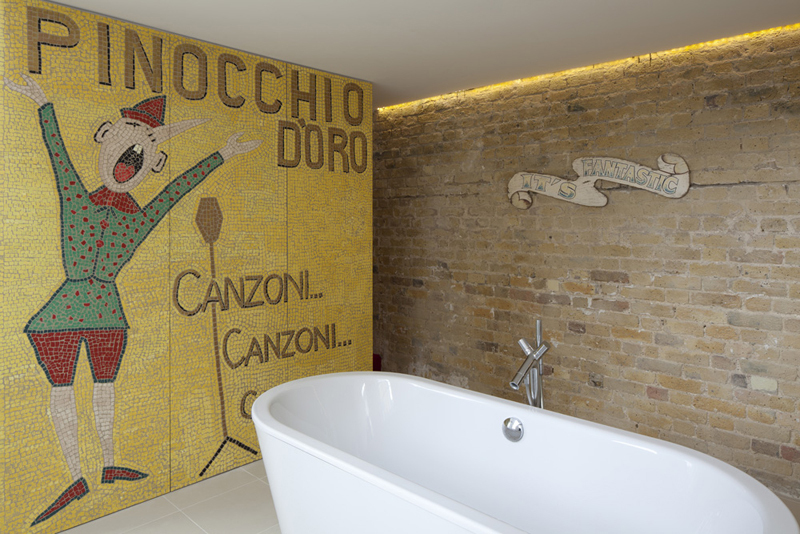 I mean, I know not all the visitors who would visit this home would see how beautiful this Pinocchio portrait is, but I think it really looks special. 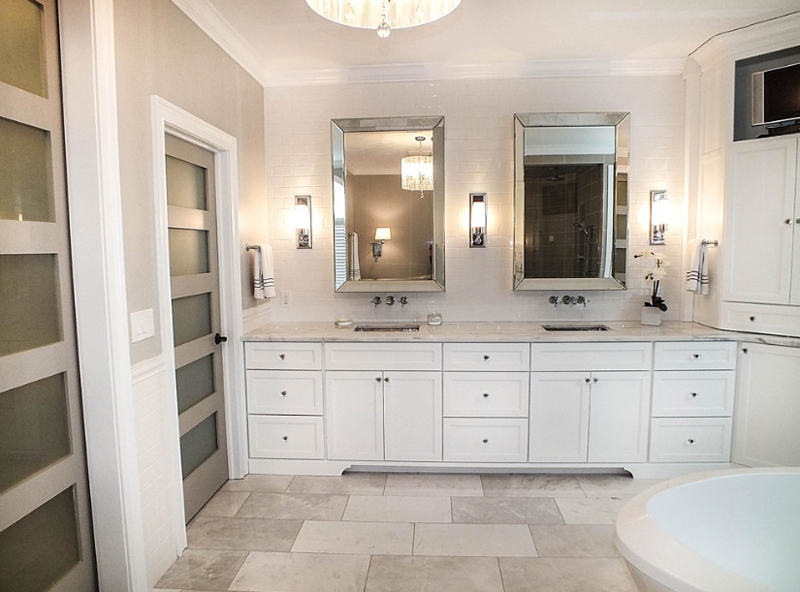 Contramark sure made sure that this bathroom would looks awesome and perfect. The contrast on the prints, textures and colors in this bathroom is quite interesting and really fascinating. I have never seen so much drama (the good kind) in a bathroom. I mean, I know there are fancier and maybe more beautiful bathrooms but this one looks just like it is where it belongs. 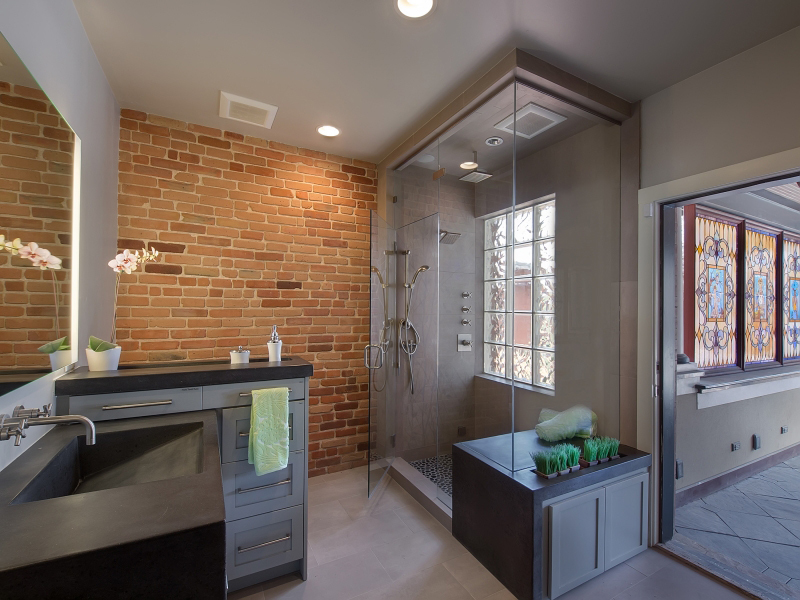 As much brick walls would be great for an entire room, having bits of it in the house (in the bathroom, for that matter) creates a more funky aura. 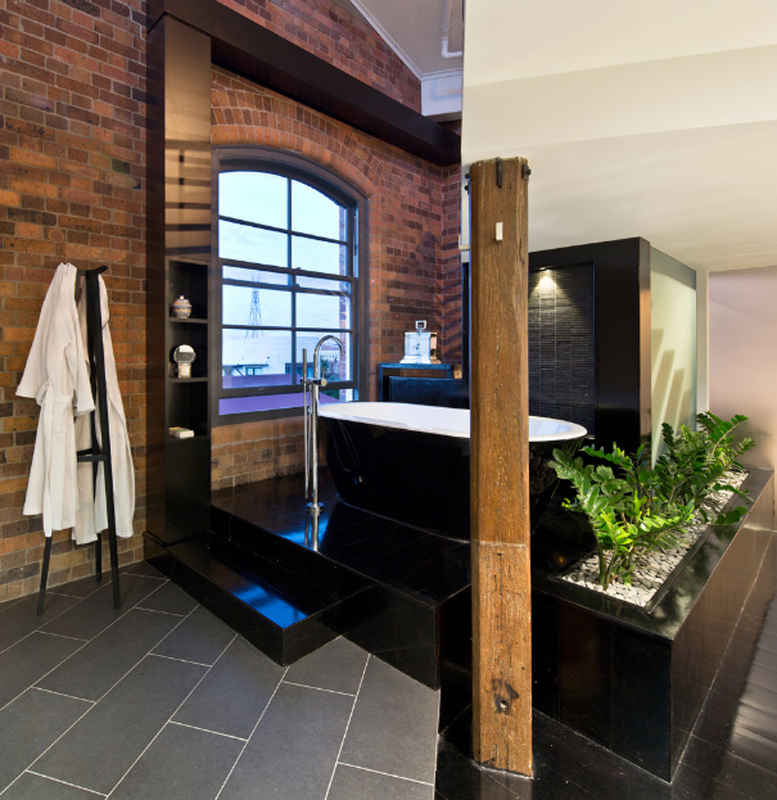 Some spaces do not really want that funky touch but for others who want to bring a hint of a loft in their homes, bathrooms like this one ought to do the trick. 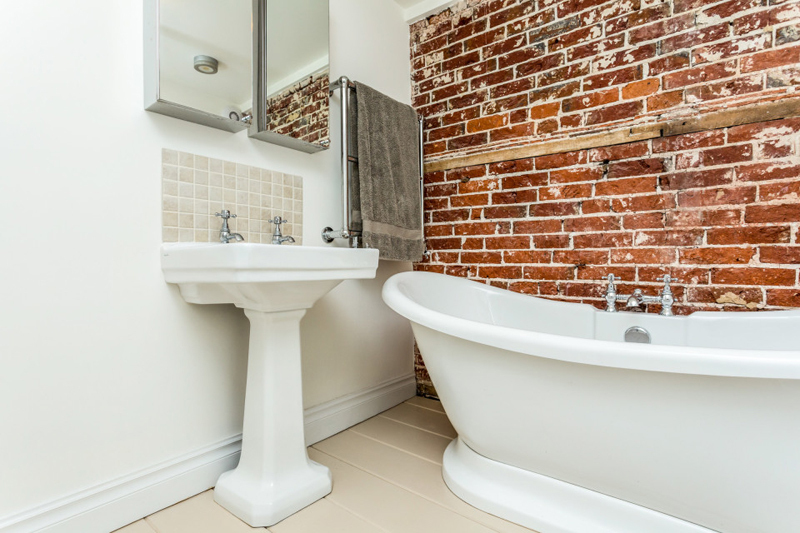 I particularly like how much better bath tubs looks beside a brick wall. The contrast of color makes it stand out and pretty much makes it more appealing than it already is. It makes the tub look like it’s really inviting and I bet the home owners made this part sure so that bathing would be as relaxing as it should be – all the time. I can’t say so much about this bathroom because this is already an outstanding space to even talk about it. 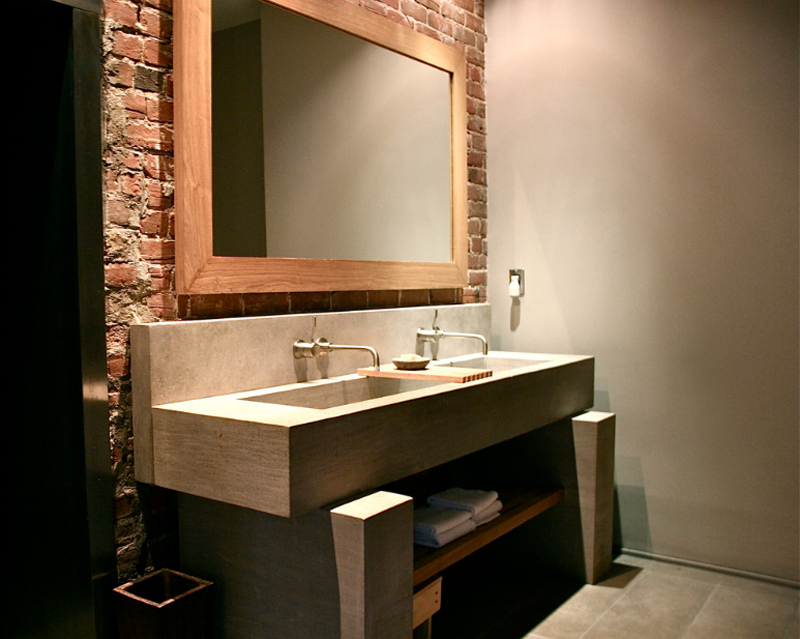 The use of white, wood, granite and bricks make this bathroom special and funky. I like the color by the door and above it – it’s charming. When I saw this picture, I was interested as to how many among the photos in this list has brick walls by the lavatory area up to the ceiling part? I didn’t really check how many – but then again, I’m happy that we have this one on the list for reference. Making arches made of brick is common but adding it by the lavatory is a good thing; at least I think so. I’m afraid that you actually have to really zoom in this photo for you to be able to see the white brick wall but don’t worry because it sure is one neat idea. They added the brick wall behind the mirrors and the sconces. 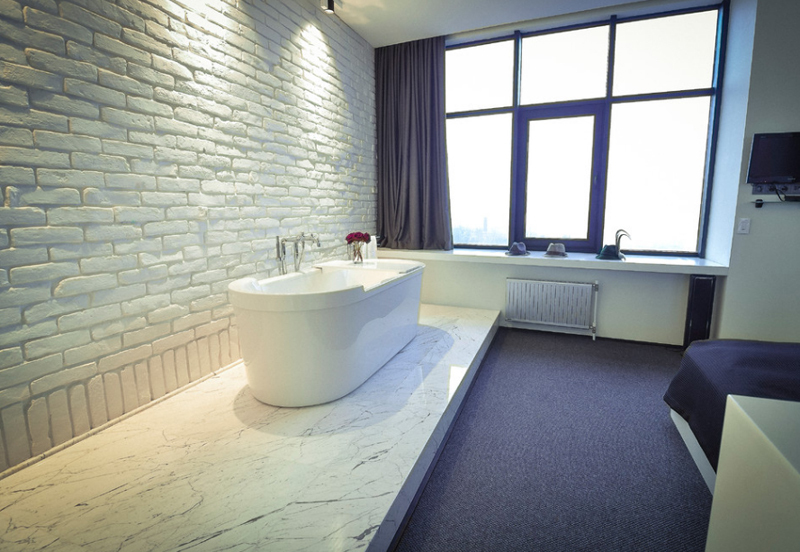 I think that this bathroom is one beautiful space to relax and take a bath. You can basically see the outdoors from the window by the shower, and why not if you have a large backyard that the neighbor can’t see, right? I like how nice this remodel is, except that it has to many corners that kids aren’t supposed to be here; the corners of this bathroom could be dangerous – unless of course this is baby-proofed. Featured this photo once before and I think this one needs this exposure because it is just so neat. 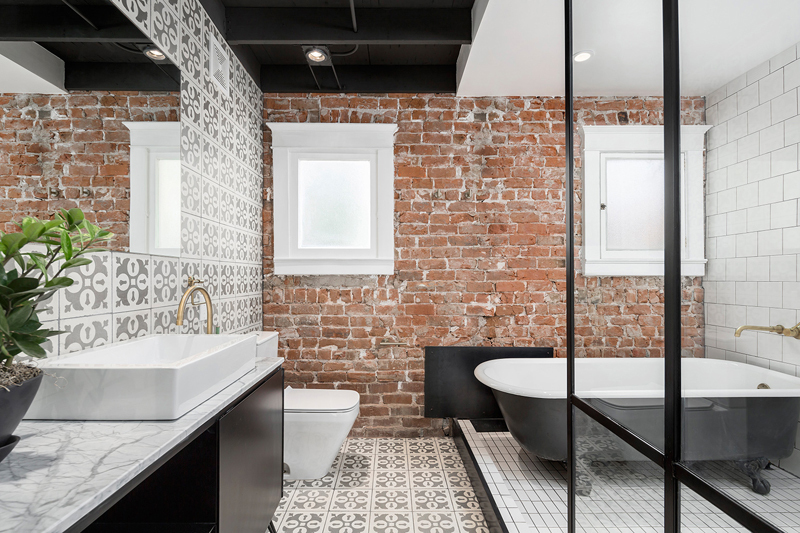 The combination of the red brick, the black glossy tiles and grey diagonally placed floor tiles make this space a bit masculine; especially the fact that this has a black tub too. Then again, I think this space is still pretty and sophisticated. I wish that you can see the other side of this lavatory; across from the mirror – there you can see the beautiful tub. Even when the wall on that side is not so pretty, in general, I think that this bathroom has a bit of an Asian touch to it and it’s quite catchy and neat. This is but a small portion of the entire bathroom but since the brick is seen in this angle, I thought that we ought to share this with you guys. 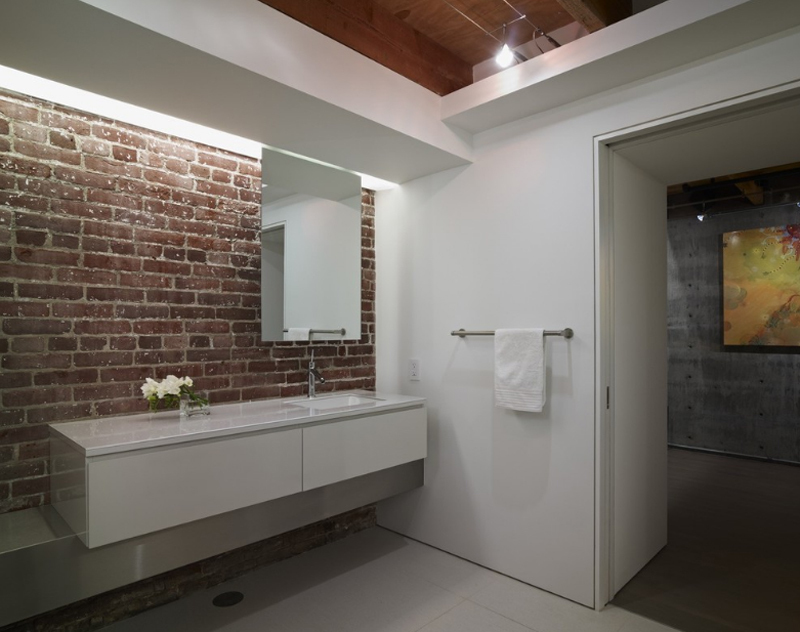 The contrast of the red bricks that serves as the backsplash and the white walls, beams, lavatory and flooring makes the bricks really wanted. Last but definitely not the least is a minimalist lavatory area. I like how raw this space actually looks without much paint on the wall and the thought that it seems not finished or what but still looking really awesome. I like how the unfinished aura makes it special from other spaces. This list may not seem so much for some, but I think that seeing bathrooms like the ones on this list makes for great ideas and inspiration for designs you can use in the future, whether it’s professionally or personally. If you have the chance though, feel free to check out the dining ares with brick walls and advise us as to what we can do again next time!